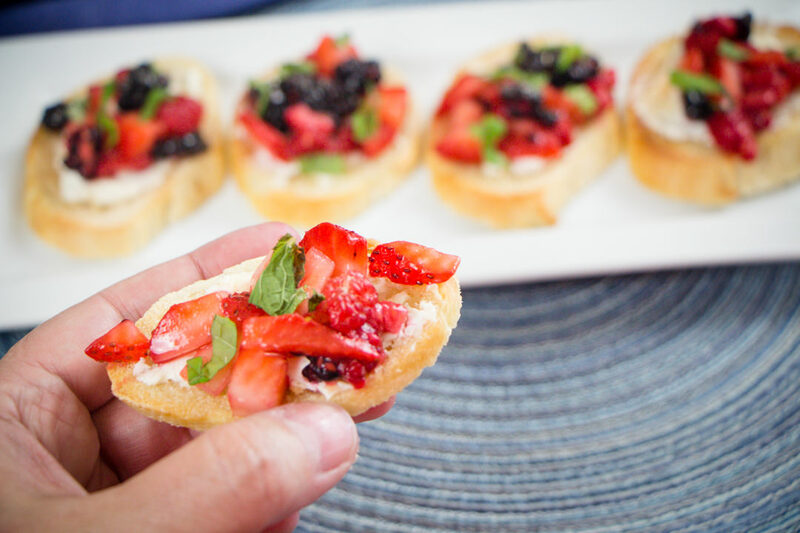 Sweet fresh Fruit makes this Easy Bruschetta a crowd pleaser for any Brunch or evening Appetizer. 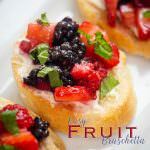 I love the smiles I see when I serve this fun and easy fruit bruschetta. 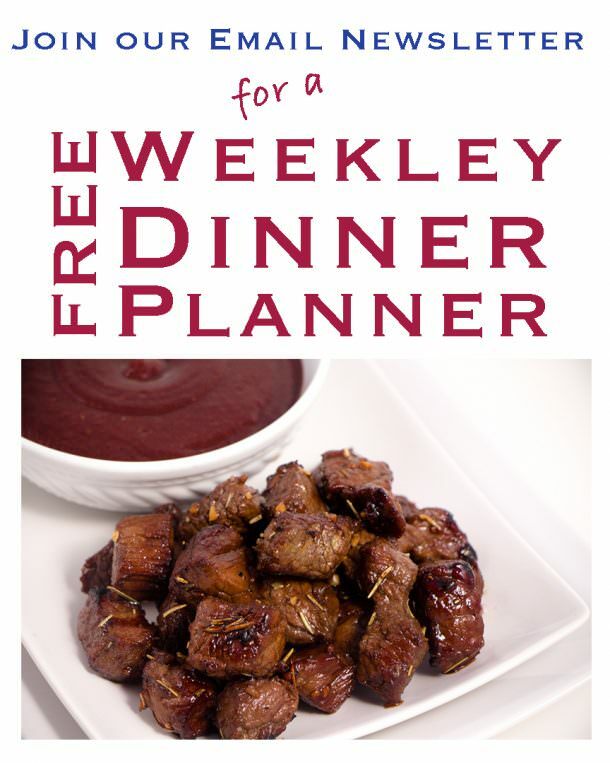 A complete twist on a traditional appetizer that I just love. The sweet toasted bread, combined with cream cheese and delicious fruit just please the tastebuds each and every time. Traditional Bruschetta is an antipasto from Italy consisting of grilled bread with garlic and topped with olive oil and salt. 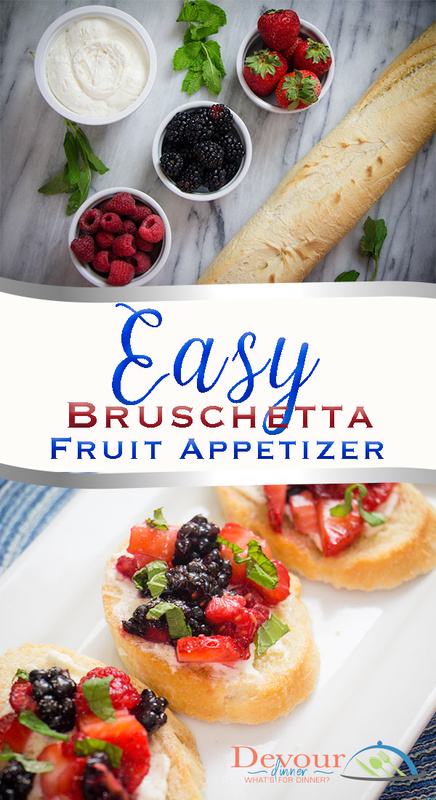 This recipe for Easy Fruit Bruschetta plays on a traditional bruschetta with grilled bread topped with butter and the sweetness from fruit. 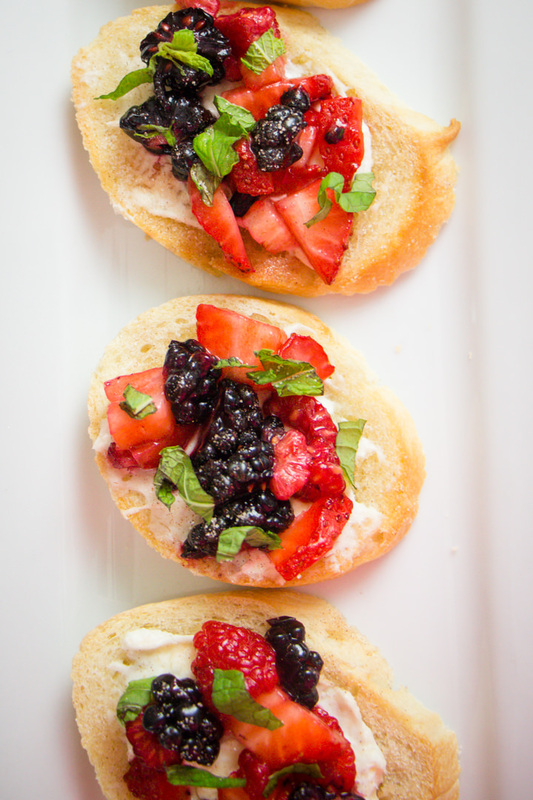 Bruschetta is typically served as an appetizer or an accompaniment to a meal. It can be prepared with a variety of toppings to enhance whatever is served. 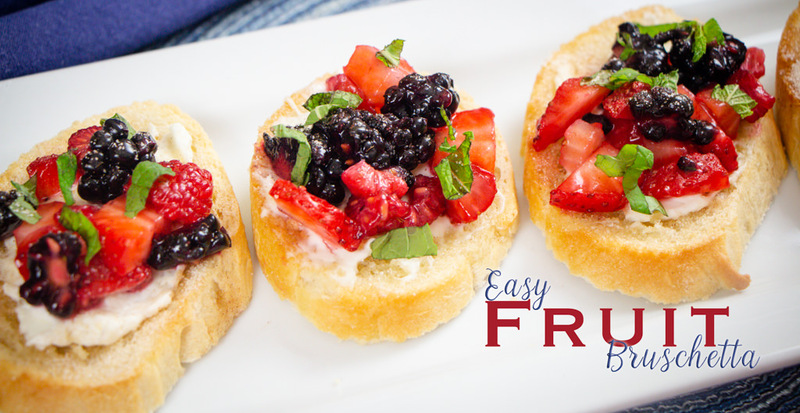 Easy Fruit Bruschetta is both sweet and savory. The toasted baguette sprinkled with cinnamon and sugar are balanced by the savory from the cream cheese and bread. 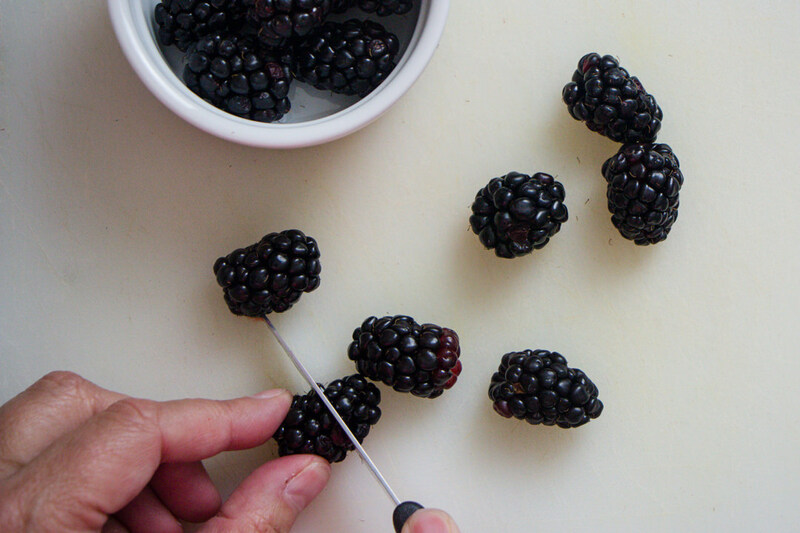 The fresh fruit tops off this recipe perfectly. Line a cookie sheet with a single layer of sliced bread. 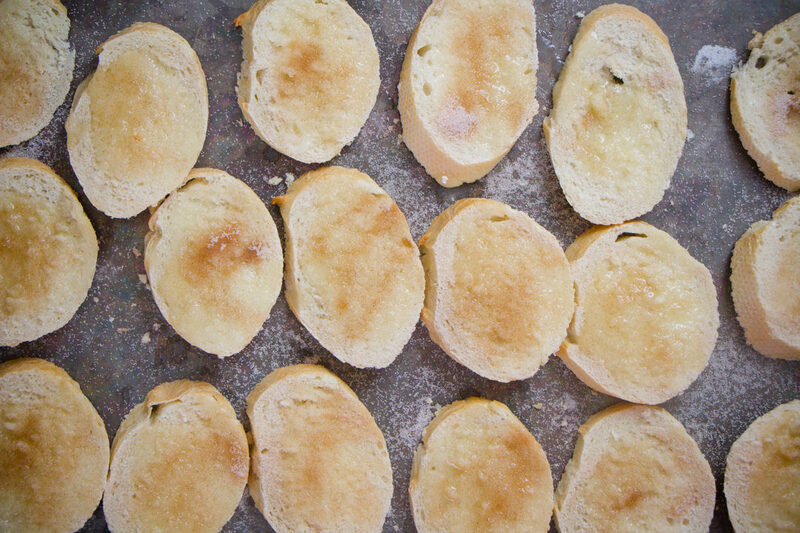 Place bread under broiler until lightly toasted. We have come to enjoy this quick and Easy Bruschetta Recipe for a Sunday Brunch or a special evening meal. Although this is a non traditional Bruschetta, I still love to make it and I love the smiles on the faces of those I serve it to. 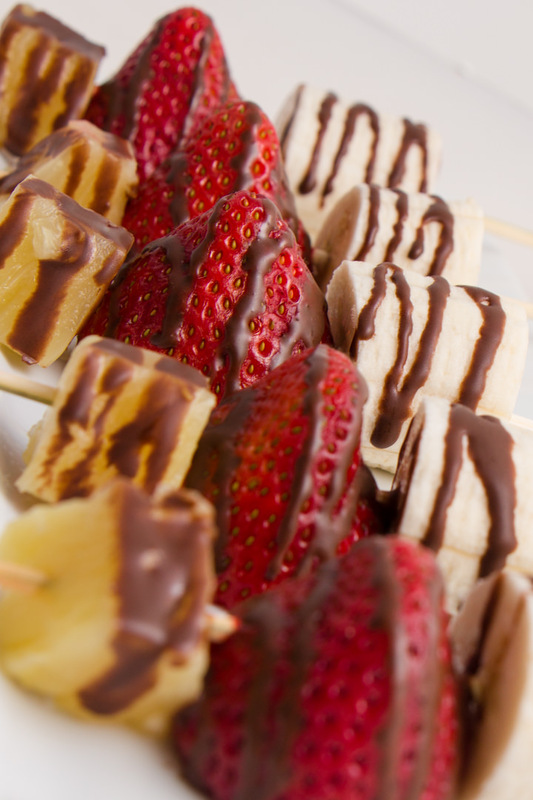 It can always be made with a variety of fruits you have and prefer the most. 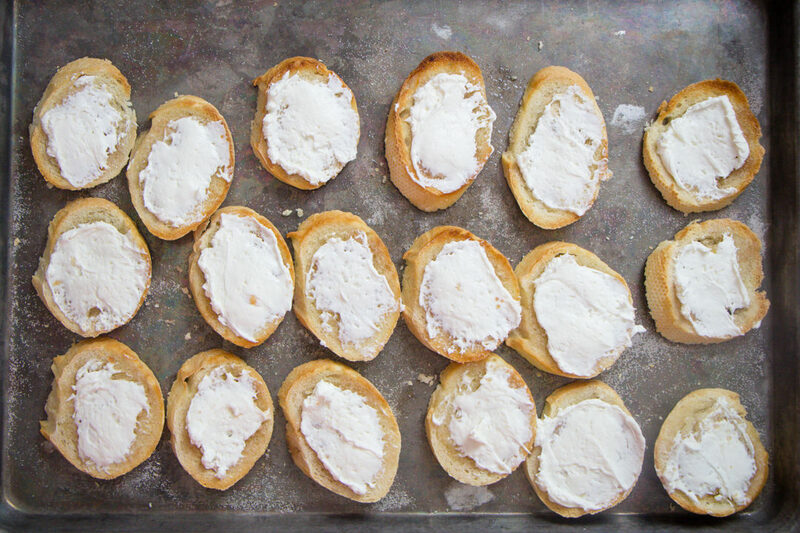 The combination of the sweet fruit with the cream cheese and toasted bread just melts in your mouth. Devour Dinner is participate of the Amazon Affiliates LLC program, an affiliate advertising program designed to provide a mean for sites to earn advertising fees by advertising and linking to Amazon. We appreciate your clicks. Cutting the baguette on an angle will make a longer more oval shaped piece of bread which gives this a little than a 2 bite appetizer. Slice baguette and layer a single layer on a cookie sheet. Brush melted butter and sprinkle cinnamon and sugar mixture on top of each slice of bread. Spread a thin layer cream cheese and top with fruit mixture. Garnish with chopped fresh mint. See how simple these appetizers are to make! 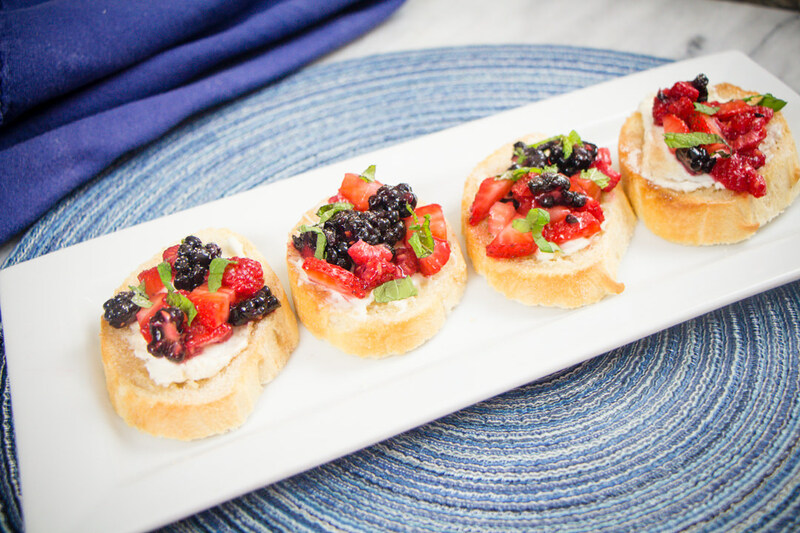 Easy Bruschetta, a delicious appetizer for any brunch or special occasion. 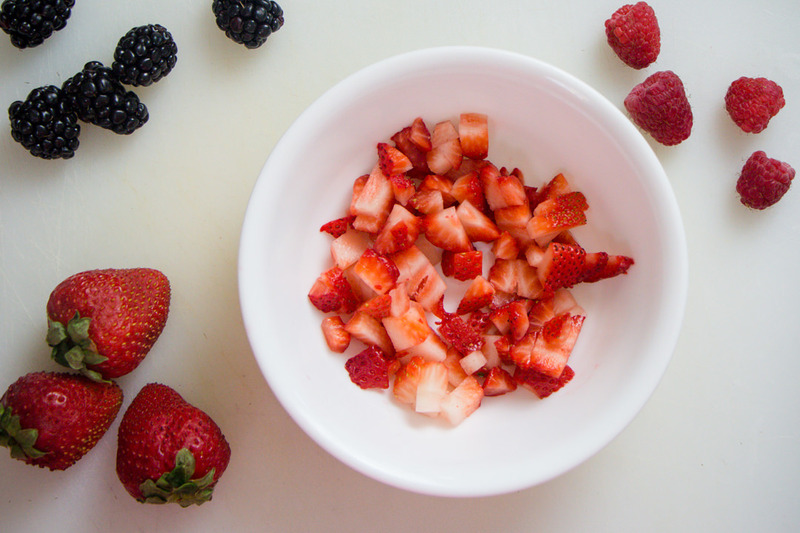 Super simple recipe that will touch on all your tastebuds. With fresh fruit on a toasty baguette you will love this fun easy Fruit Bruschetta. Slice Baguette and place on a cookie sheet. Brush Baguette slices with melted butter and sprinkle with cinnamon and sugar and place under broiler for 3-4 minutes or until toasted. 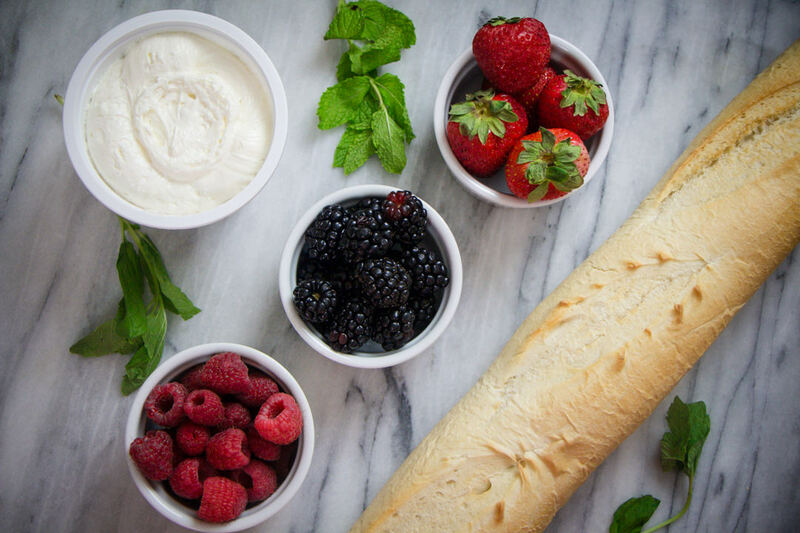 Spread a Thin layer of cream cheese on top of each baguette slice and top with fruit mixture. Why have I never thought to make this? Looks delicious! Thank you for sharing. I know right? 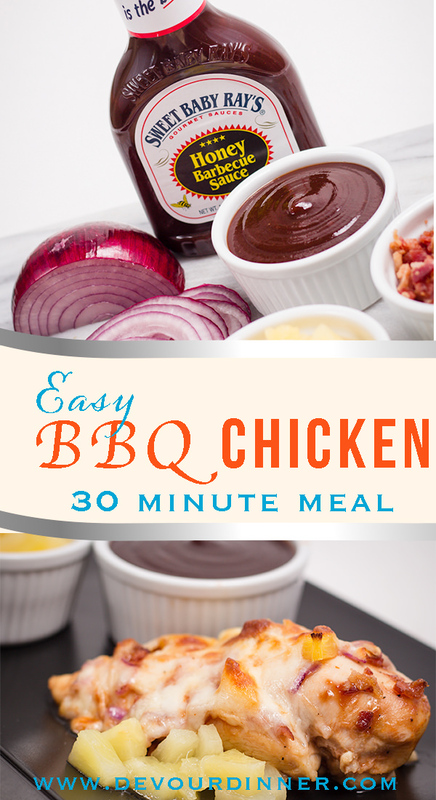 Such a fun appetizer or side to add to a meal. And it’s just fun. 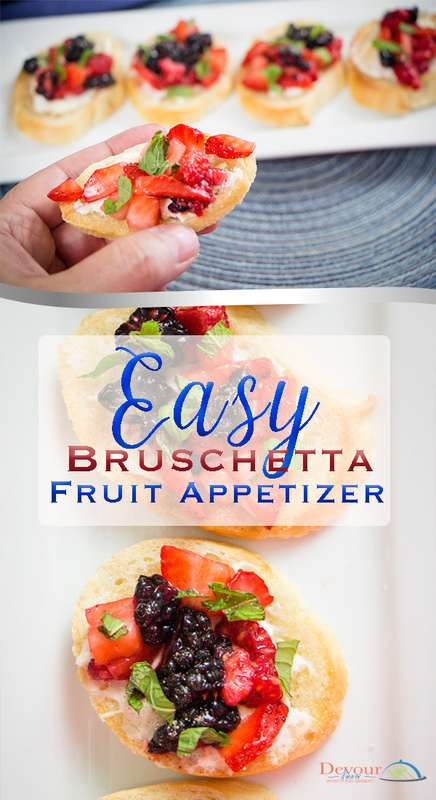 I have never eaten much bruschetta, but this fruity twist looks beautiful, easy, and delicious! Pinning! Thanks Kristin! 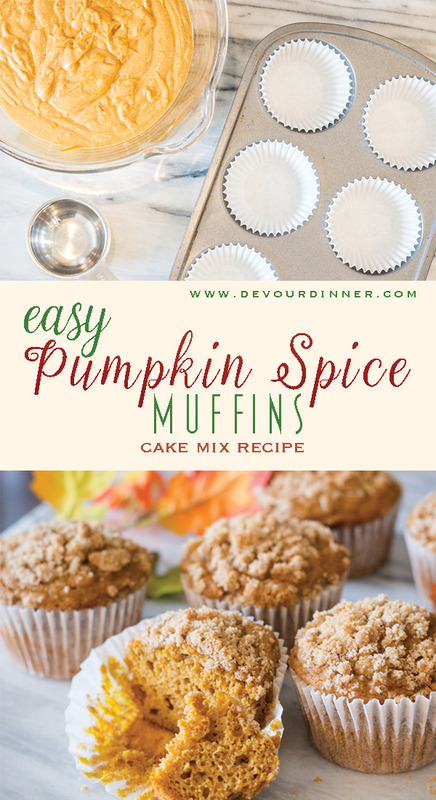 It is a fun twist on a traditional recipe for sure. I Hope you enjoy. These are so interesting!!! I am excited to try this paired with wine and a movie! I am going to have to try these tomorrow. Please let me know how you like them. Wow your styling is beautiful for these! I love how it has fruit instead of cheese too! Yum! 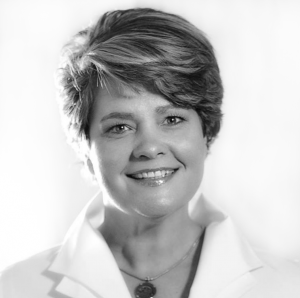 Thanks Lynn… Sometimes photos just come out better than others. Will definitely be giving these a try! I hope you do. They have always gone over well in my home with family and guests.